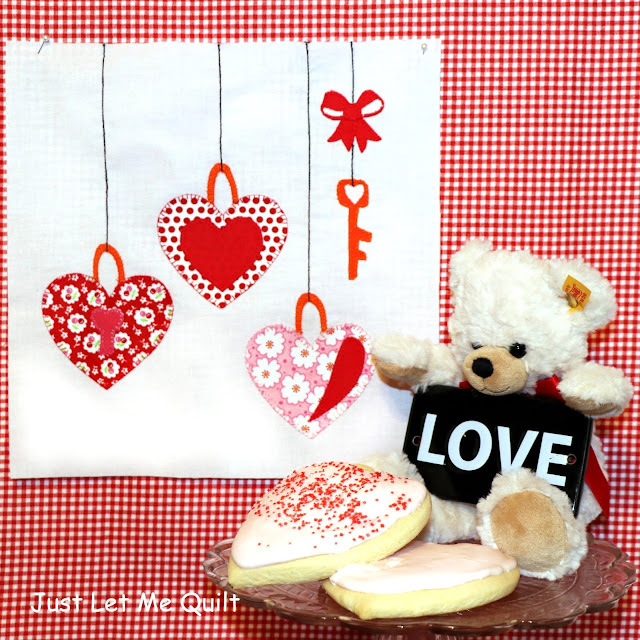 I'm so excited about a Valentine Sew Along this week on the ThermOWeb blog! with fat quarters and/or scraps. Patterns will be available with supplies and instructions. On February 14th the designers will share four projects and patterns using the blocks. we’d love to see them on Instagram with the tag #thermowebsewalong. You can find this on the ThermOWeb blog HERE. Of course, I used my favorite iron-on adhesive for this block, HeatnBond EZ Print Lite. Love your block! Very sweet for Valentine's Day. I was just wishing for a printable fusible!! Thanks for reading my mind! That is darling. The printable is brilliant and will save a ton of time drawing everything out. Now....can they invent seeing eye scissors??? This is such a fun and quick block and beautiful for Valentine's Day. Great start to the sew-along. Such a fun bock and a different take on the typical heart blocks. Sew adorable, and just in time for Valentine's Day! A great block, and such a fun collection of designs for Valentines. Thanks for yours!